Over at the East Asia Forum, Professor Daiki Shibuichi introduces the Zaitokukai, the xenophobic haters who have been harassing Korean enclaves within the major cities, including the students and teachers at the North Korean schools (Link) These Web-enabled and organized miscreant losers are a brand new phenomenon, unpredictable and dangerous due to their lack of links to organized crime and/or politicians. 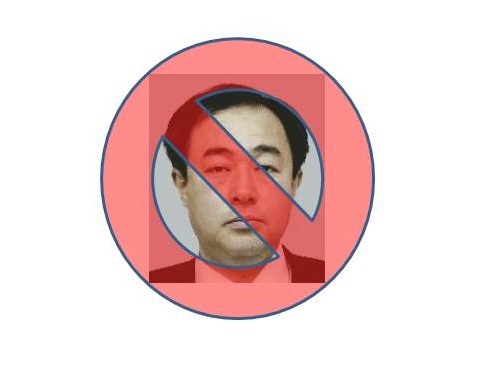 Whilst on the subject of depressing facts regarding xenophobia, Shinpu Party leader Suzuki Nobuyuki, whose rancid and somehow entirely legal campaign posters called for the expulsion of Koreans from Japan, received 74,465 votes in last Sunday's House of Councillors election for the Tokyo District -- more than even the Green Breeze party's candidate (Link - J). The concept that 1.4% of voting age adults in Tokyo would be willing to vote for a person declaring open war upon residents of Korean ancestry has still failed to find its place inside my head. To be sure, a serious issue, but 1.4 percent?? If you google "percentage of Americans who believe" you should be able to resolve the issue for yourself. Ugh what a slimeball. 1.4% of Tokyoites voting for him is worrisome. It should be far, far less. What's all this hate for resident Koreans geez. Cheap shot there Michael at the Green Breeze candidate, cheap shot. Voters had all kinds of flavors of right wingers to choose from in the Tokyo elections. With so many choices, I am willing to sit tight up to around 0.5%. Above that, the sirens have to go off. I thought I was making the point that presumably not-fit-for-polite-society, ultra-fringe candidate Suzuki received more votes than the candidate from a legitimate Diet political party. What point you think I am making? 1.4% is not something to really worry about. That guy has been going on for what, 12years now? Considering the shifts in mainstream discourse, it doesn’t surprise me whereto the protest vote is drifting. More worry some is the first item. Me got flashbacks to some 30 years ago in Western Europe (Germany, Belgium, Holland) where we saw a similar phenomenon. Out-of-the-blue, ‘unaffiliated’ xenophobe groups rising seemingly suddenly. And similarly the mainstream groups (media, politicians, police) only notice it when those groups start targeting more powerful communities (Koreans and Chinese in Japan, in e.g. Belgium and Germany it was Italians and Spanish communities). In both cases, those groups had already been busy for quite a while. My Iranian friend here mentioned such threatening behaviour in his neighbourhood (many middle-eastern immigrants) here in Fukuoka some 2years ago, iirc. The fact that those groups have no (known) links to the black van boys, other established right-wingers or yakuza means only that those are becoming outdated. Hint: in the W.European case, the story doesn’t end too well, as you perhaps know. Martin J Frid, I have absolutely no idea how you could have made such a leap in logic and deduced that Mike's referring to the Green Breeze candidate garnering less votes than a right-wing crackpot constitutes as a "cheap shot" against Green Breeze. Voters of course can only vote for one candidate, and the votes for Taro Yamamoto as an independent is in the range of 660,000. He is a well known candidate while the candidate running for Midori Kaze in Tokyo is not. Taro Yamamoto got ten times as many votes and MTC is not even mentioning him. Oh well. Note also how Asahi Shimbun ran a large front page photo of the mass rally of Yohei Miyake, the main Greens candidate, in Tokyo without even mentioning which speaker was holding the event. That said, terrible that so many poeple would vote for a xenophobic candidate, even if it is still in the rather low 1.4% range. "Anti-nuclear activists Kira Yoshiko (JCP) and Yamamoto Taro (independent), you not only won district seats in Tokyo, but shoved Takemi Keizo, an LDP Washington insider running as the representative of the health care industry into the fifth and final slot. You both now have six years to harass the nuclear industry and its supporters from the inside, rather than cacophonously from without. constitutes "mention" -- or am I off base here? 2) If the photo was of the rally on July 20, election eve, I can understand why The Asahi Shimbun would be reticent about giving too much information. The Miyake Yohei event on the 20th was not a political rally in the classic sense; it was a free concert at the Shibuya Crossing on a Saturday afternoon -- the combination of which guarantees a massive swirling, smiling crunch of appealing young folks, some of whom are even old enough to vote. Everyone at the July 20 event was having a good time -- the Yamamoto volunteers especially, bobbing as they were up and down to the beat in, around and on top of the Yamamoto van. 3) That being said, a piddling 176,970 votes nationwide for the top Die Grünen candidate, two years after the worst nuclear accident since Chernobyl, is sad. 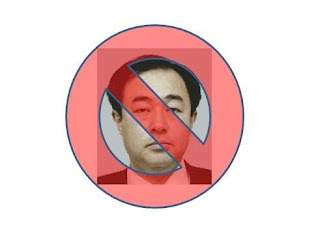 4) Even admitting 2) and 3) regarding Miyake Yohei, they remain irrelevant, as Miyake was the main candidate for the Midori no To on the proportional list and Suzuki Nobuyuki was a candidate on the Tokyo district list. Well to be fair its only 1.37%, and 77,457 out of 5,637,805 voters is pretty insignificant. And from my understanding he didn't get a seat. Are there any figures on turnout for the election yet? What is the population count for the area represented in this election? Is it the metroplis (23 wards) or the whole area. I roughly calculate it out to be a 42.75% turnout (but that would include all the people not eligible to vote as I just used the census figure for 2011). As people who would vote for him will be more motivated to actually get out there and vote. There may be a skew in his favor.